This is a scalable context timeline. It contains events related to the event November 22-December 16, 2000: Yemen Provides Photos of Al-Qaeda Leader to Cole Investigators, Bombing Linked to Al-Qaeda. You can narrow or broaden the context of this timeline by adjusting the zoom level. The lower the scale, the more relevant the items on average will be, while the higher the scale, the less relevant the items, on average, will be. Rahim al-Nashiri [Source: AP]After several weeks of investigation, US authorities learn that al-Qaeda leader Abd al-Rahim al-Nashiri was involved in the plot to attack the USS Cole. Investigators find a second safe house used by the bombing team, and learn it was registered to al-Nashiri under a name variant. Al-Nashiri’s name is dimly familiar to FBI agent Ali Soufan, who remembers that a source said al-Nashiri was planning a seaborne attack against a US vessel in Aden (see After August 7, 1998). The FBI then finds that al-Nashiri rented a car in Aden before the bombing. Author Lawrence Wright will comment, “It was another strong link between al-Qaeda and the Cole attack.” [New Yorker, 7/10/2006 ] In addition, one of the bombers detained by Yemeni authorities, Jamal al-Badawi, identifies al-Nashiri as a person who gave instructions for the attack. Al-Badawi also says he thought al-Nashiri was working for bin Laden, but al-Nashiri did not tell al-Badawi this directly. [CNN, 12/13/2000] Although al-Nashiri was the operational manager, he was actually in Afghanistan for a meeting with Osama bin Laden when the opportunity to attack arose and was not physically present at the bombing. Investigators are aware that he is the cousin of one of the bombers of the US embassy in Nairobi, which he facilitated, and a captured embassy bomber identified a photo of him for the FBI two years earlier (see 10:35-10:39 a.m., August 7, 1998 and August 22-25 1998). Al-Nashiri has been known to various intelligence agencies since 1998, at least, and was monitored at the Malaysia summit of top al-Qaeda leaders at the start of the year (see January 5-8, 2000). [CNN, 12/11/2000; 9/11 Commission, 7/24/2004, pp. 152-3; Wright, 2006, pp. 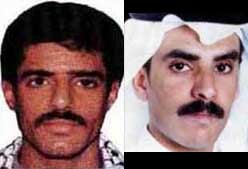 318] US investigators also identify another leading suspect in the case, Khallad bin Attash, at around the same time (see January 4, 2001). 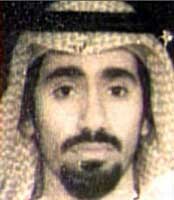 After the FBI and CIA obtain a passport photo of al-Qaeda leader Khallad bin Attash (see November 22-December 16, 2000), they are unable to connect him to one of his aliases, Salah Saeed Mohammed bin Yousaf, even though he had submitted an application for a US visa using this alias the year before (see April 3, 1999). Presumably, a search of visa applications would have turned up a photograph similar to the one the US now has of him, allowing the US to connect bin Attash to the alias. However, no such search is made, even though the CIA knows the alias is connected to 9/11 hijackers Nawaf Alhazmi and Khalid Almihdhar (see January 8, 2000), who obtained US visas at the same time bin Attash’s application was denied (see April 3-7, 1999). No such search is made even after the CIA connects bin Attash to Alhazmi and Almihdhar under bin Attash’s real name as well in early 2001 (see January 4, 2001). [9/11 Commission, 7/24/2004, pp. 192-3, 538; US Department of Justice, 11/2004, pp. 248, 267-278 ] The US misses other opportunities to learn more about this alias (see After January 8, 2000 and After August 23, 2001). After an informer later referred to as “Omar” tells the CIA that al-Qaeda leader Khallad bin Attash was at al-Qaeda’s Malaysia summit (see January 4, 2001), the CIA fails to communicate this information to the FBI, even though it is important for the FBI’s investigation of the USS Cole bombing and connects future 9/11 hijackers Khalid Almihdhar and Nawaf Alhazmi to the Cole bombers. Omar is a joint FBI/CIA source, but the FBI assistant legal attaché responsible for him, Michael Dorris, will later say he does not know of this identification, and documentation he drafts at this time indicates he is unaware of it. It is unclear why Dorris is unaware of the identification, although he does not speak Omar’s language and may have been out of the room making photocopies when Omar identified bin Attash in a photo of the Malaysia summit for his CIA counterpart. That officer, known only as “Chris,” will later say he has no independent recollection of any particular meeting with Omar. Comparison with Previous Meeting - However, when Omar previously identified a photo of bin Attash provided by Yemeni authorities on December 16, 2000 (see November 22-December 16, 2000), Chris had him repeat the identification specifically for the benefit of Dorris, and the cable he drafted about the meeting said this clearly. In addition, Dorris will later say that he recalls the specific circumstances of the previous debriefing and would be able to recount them, including the identification of bin Attash in the photograph provided by the Yemenis. Three Cables Drafted - Chris drafts three cables about the January 4 meeting; one internal cable provides little detail about it, but says bin Attash was identified in one of the photos, a cable to the general US intelligence community fails to mention the identification of bin Attash, as does a third cable, which is sent to the CIA. CIA Later Makes False Claims - However, according to statements made by CIA officials after 9/11, at this time the CIA thinks that the FBI knows that bin Attash has been identified in the photos. For example, Director of the CIA’s Counterterrorist Center Cofer Black will tell the 9/11 Congressional Inquiry, “[O]ur records establish that the special agents from the FBI’s New York Field Office who were investigating the USS Cole attack reviewed the information about the Kuala Lumpur photo in late January 2001.” However, there is no documentary record of information about the second identification placing bin Attash in Kuala Lumpur with the two hijackers being passed to the FBI at this time. In addition, in July 2001 CIA manager Tom Wilshire will suggest passing this information to the FBI (see July 13, 2001), possibly meaning he thinks it is not passed at this time. [US Department of Justice, 11/2004, pp. 264-278 ] The CIA will not notify the FBI that Omar identified bin Attash in the photo until August 30, 2001, less than two weeks before 9/11 (see August 30, 2001). A CIA officer in Islamabad, Pakistan, asks Alec Station, the CIA’s bin Laden unit, to “touch base” with FBI agents investigating the bombing of the USS Cole who are preparing to come to Islamabad to interview a joint FBI/CIA source about the identification of one of the Cole bombers, but the suggested briefing is either never given or lacks a crucial detail. Alec Station is aware that the source, referred to later as “Omar,” has identified al-Qaeda leader Khallad bin Attash as being present at al-Qaeda’s Malaysia summit (see January 4, 2001) and that the FBI agents are going to Islamabad specifically to document another identification of bin Attash by Omar (see November 22-December 16, 2000). The cable from the officer in Islamabad, known only as “Chris,” even notes that Omar is “currently of very high interest to our [FBI] colleagues,” but Alec Station fails to notify the Cole investigators that bin Attash attended the summit in Malaysia. This is important because it connects bin Attash to future 9/11 hijackers Khalid Almihdhar and Nawaf Alhazmi, who also attended the summit (see January 5-8, 2000). [US Department of Justice, 11/2004, pp. 275-8 ] Chris will meet the FBI agents in Pakistan, but will also fail to mention the identification of bin Attash at the Malaysia summit to them (see February 1, 2001). Two FBI agents investigating the bombing of the USS Cole interview a source, referred to later as “Omar,” who previously identified a photo of one of the bombers as al-Qaeda leader Khallad bin Attash (see November 22-December 16, 2000). However, a CIA officer present at the interview, known only as “Chris,” fails to add a crucial detail. The interview, which apparently takes place in Pakistan, is held to document the previous identification by Omar of bin Attash, who led the attack on the Cole, based on a photograph provided by Yemeni authorities. Chris is also aware that Omar has identified bin Attash in a surveillance photo taken of al-Qaeda’s Malaysia summit (see January 5-8, 2000 and January 4, 2001). The identification of bin Attash in the photo taken at the summit is important because it connects bin Attash to future 9/11 hijackers Khalid Almihdhar and Nawaf Alhazmi, who were also at the summit, and because it casts light on bin Attash’s interaction with the other Cole bombers. The Justice Department’s Office of Inspector General will later say it believes “that had the FBI known about the identification of [bin Attash] in the Kuala Lumpur photographs, they would likely have sought information about the other participants in the meeting, including Almihdhar and Alhazmi, which could have increased the FBI’s chances of locating them before the September 11 attacks.” Chris had previously failed to notify the FBI of the identification of bin Attash in the Malaysia summit photo (see January 5, 2001 and After), as had the CIA’s bin Laden unit (see Shortly Before February 1, 2001). [US Department of Justice, 11/2004, pp. 275-8 ] Omar is usually handled by Cole case agents Ali Soufan and Steve Bongardt. [Soufan, 2011, pp. 120] Presumably, one of them is the lead FBI agent at this interview, although it is not clear which. 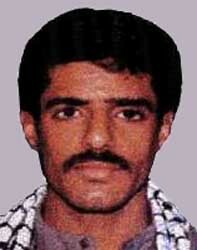 When the US intelligence community watchlists the alias Salah Saeed Mohammed bin Yousaf, which is used by al-Qaeda leader Khallad bin Attash (see August 23, 2001), it fails to realize that “bin Yousaf” is really bin Attash, who is known to be one of the masterminds of the USS Cole bombing (see Late October-Late November 2000 and November 22-December 16, 2000). 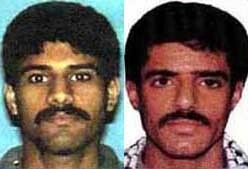 The CIA knows that both bin Attash and “Salah Saeed Mohammed bin Yousaf” were in Malaysia with 9/11 hijackers Khalid Almihdhar and Nawaf Alhazmi in January 2000 (see January 5-8, 2000, January 8, 2000, and January 4, 2001). Furthermore, the CIA has a photo of bin Attash provided by the Yemeni government, and surveillance photos and video of bin Attash with Alhazmi and Almihdhar at an al-Qaeda summit in Malaysia (see January 5-8, 2000 and Shortly After and January 5, 2000). And when bin Attash applied for a US visa, he used the “bin Yousaf” alias (see April 3, 1999), so presumably a comparison of his photo from that application with other photos would reveal that “bin Yousaf” and bin Attash are one and the same person. However, apparently no check is made for any US visa of “bin Yousaf,” even after he is watchlisted to prevent him from coming into the US, which would require a visa. Had a check been made, it would have been discovered that he applied for a visa at the same time as both Almihdhar and Alhazmi (see April 3-7, 1999), the very people who have been watchlisted together with him. Presumably, discovering that Alhazmi and Almihdhar had applied for US visas with one of the Cole masterminds would have greatly increased the urgency of finding them. [9/11 Commission, 7/24/2004, pp. 538; US Department of Justice, 11/2004, pp. 248, 300-3 ] The US missed other opportunities to learn more about this alias (see After January 8, 2000 and After December 16, 2000).